Universal remote controls allow you to command each element in your system, all from the same device. No more keeping up with multiple remotes. 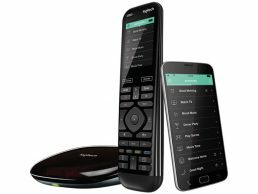 Some universal remotes offer a touchscreen to make your experience even more convenient and enjoyable.